“We will not be outdone!” - the bold statement made by Samsung execs after announcing the ultra-thin GALAXY Tab 8.9 and 10.1 models, barely a month after unveiling their initial variant for the next GALAXY Tab, which was supposed to come with a thickness of 10.9 mm. 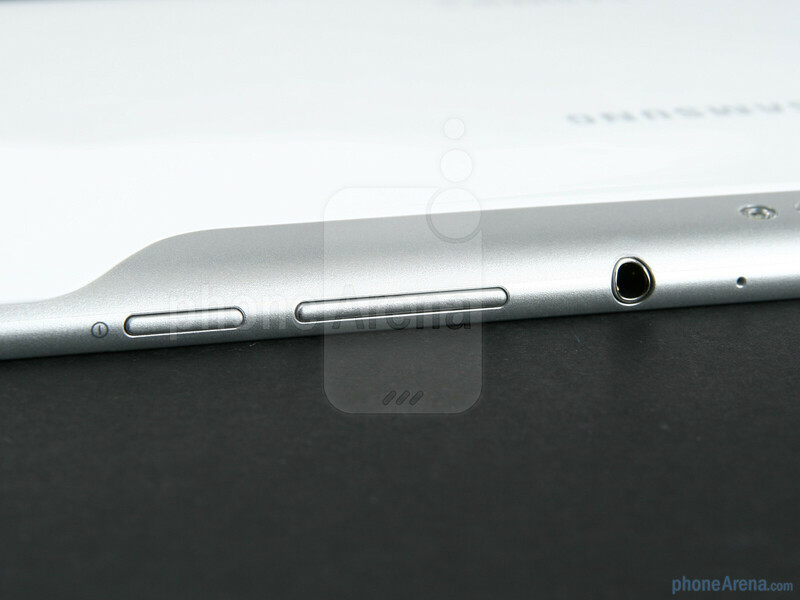 At just 8.6 mm though, Samsung's new tablet designs could not only come out on the same stage with the iPad 2, without having embarrassment written on their faces, but as well edge it. But as much as we are impressed by the new GALAXY Tabs' slimness, we're still far from declaring them the next big thing on the tablet market. Samsung will have to do much, much better than what it achieved last time with the first Galaxy Tab, in order to cope with the obviously daunting task of winning over some market share from Apple's pride and joy. We are convinced, however, that if it pulls it right, Samsung does stand a chance, considering that it offers one of the very few things Apple doesn't – choice. With a duo of two more or less identical tablets, but offering different screen sizes, Samsung hopes to effectively cover both those users who would appreciate a bigger, iPad-like 10” screen, and those who would gladly stick with a more compact and lightweight gadget. Sounds good so far, but whether the company will succeed depends on how these two freshmen will actually perform. This time however, thanks to Google's Android 3 Honeycomb on board, Samsung does seem to be much better positioned from the get go. 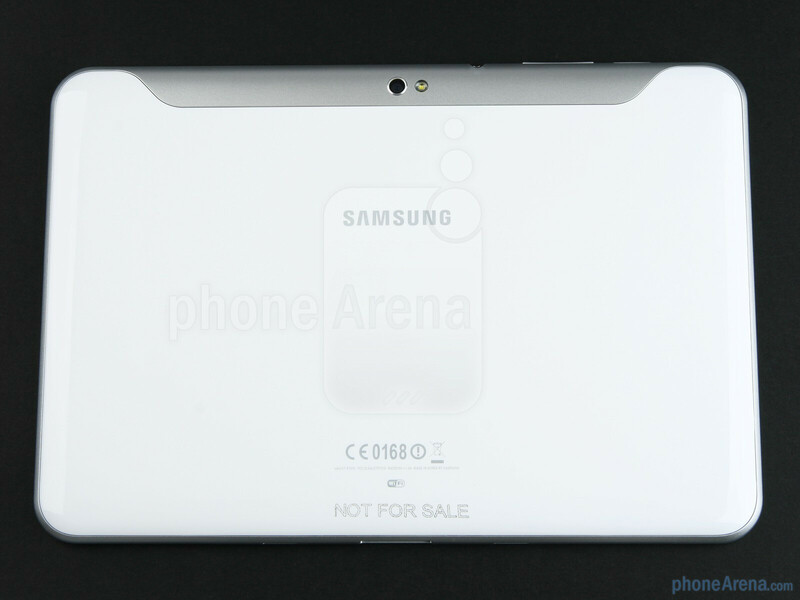 With that said, let's have a preliminary look at what the more compact Samsung GALAXY Tab 8.9 has in store! 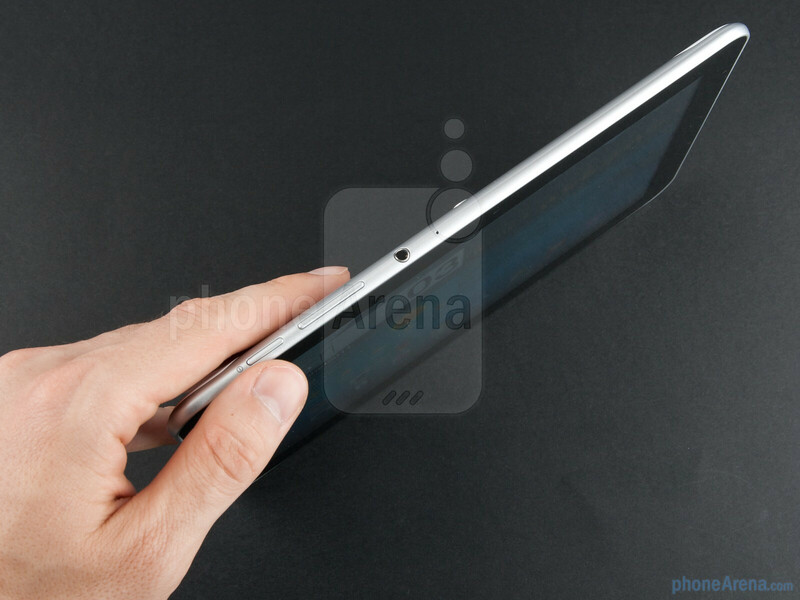 The Samsung GALAXY Tab 8.9 is incredibly thin, though negligibly thinner than the iPad 2. In fact, there seems to be almost no difference to the naked eye. While the device feels tightly constructed, it is still made entirely of plastic, so do not expect a solid or premium feel out of this one. Thankfully, this does give it one advantage (and a pretty significant one in the tablet world), which is called weight. 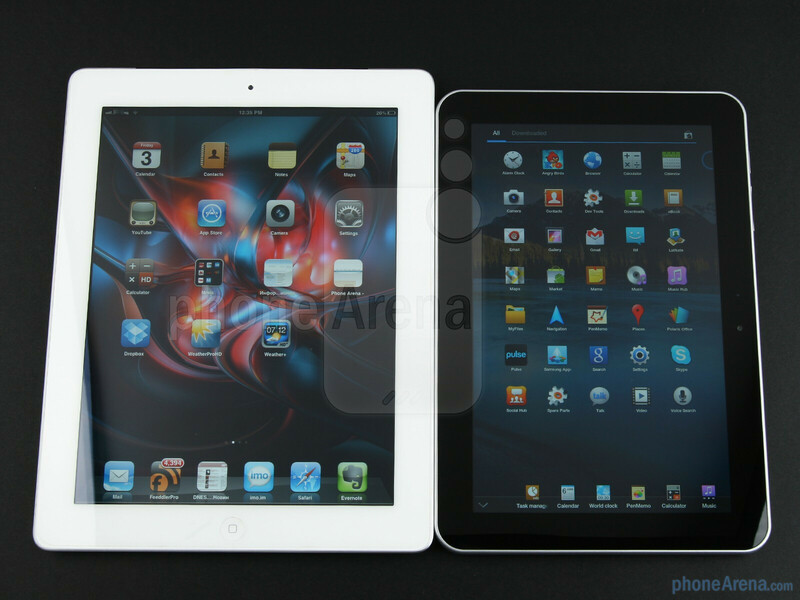 At just 16.58 oz (470 g), the GALAXY Tab 8.9 is noticeably lighter than the similarly-sized T-Mobile G-Slate (21.87 oz / 620 g), and the Apple iPad 2 (21.20 oz / 601 g). 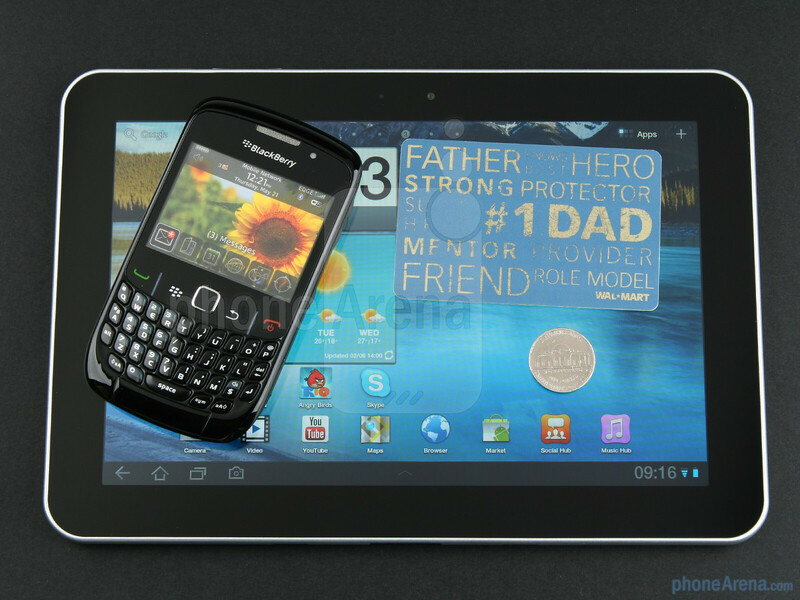 This is something we truly value as far as tablets go. It's now time to power on that 8.9” TFT screen and see whether or not it's still roomy enough to provide an enjoyable experience. (Powering on ...) It is. 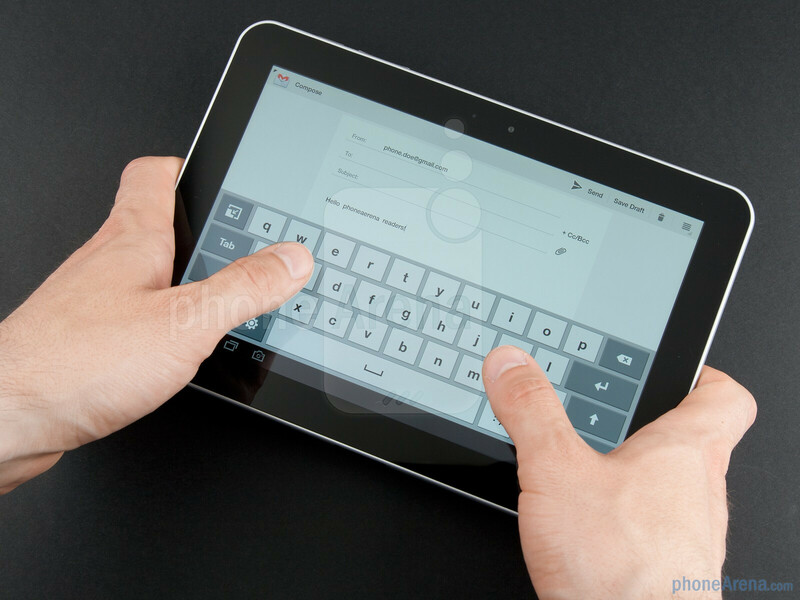 As long as you don't absolutely want a screen as big as possible on your tablet, the 8.9 inches of the GALAXY Tab 8.9 should allow for comfortable usage in almost every scenario (browsing, reading, gaming, video watching, etc.). With its resolution of 1280x800 pixels, the screen even manages to output a pretty decent detail level, beating what the iPad 2 and the bigger GALAXY Tab 10.1 offer. 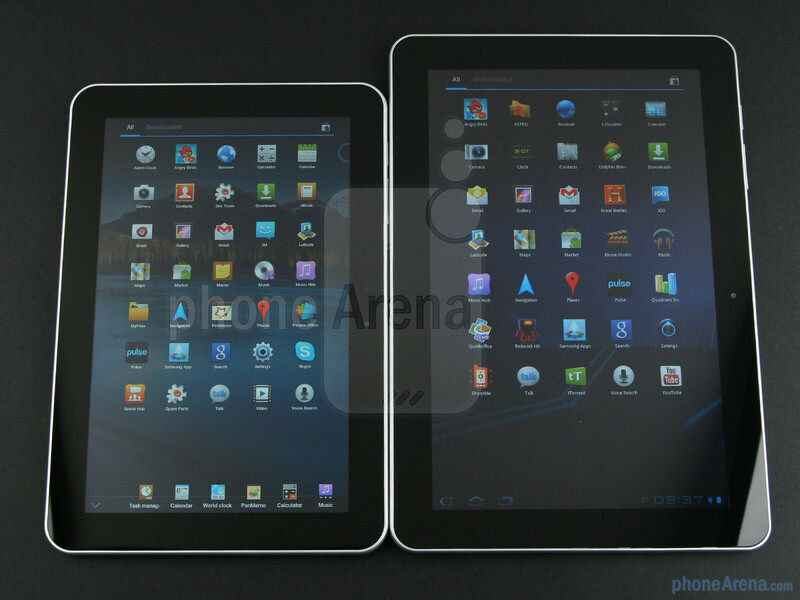 It's just a marginal victory for the Tab 8.9 when it's placed next to its direct competitor in terms of size – the G-Slate (Optimus Pad), which sports a resolution of 1280x768 pixels. 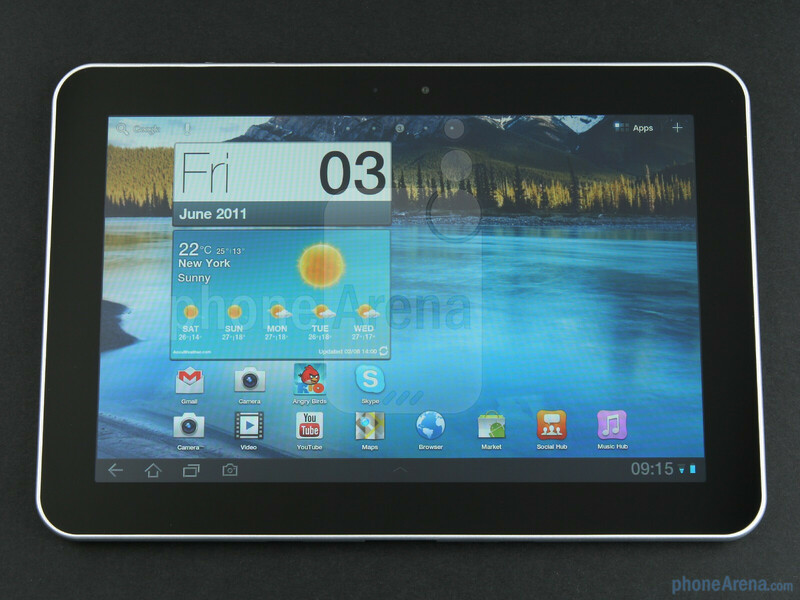 Naturally, being a Honeycomb-powered device, the Samsung GALAXY Tab 8.9 doesn't have any physical buttons on its front. Actually, the only physical keys on the device – power and volume rocker - can be found on its top side, delivering good, but not great tactile feedback. 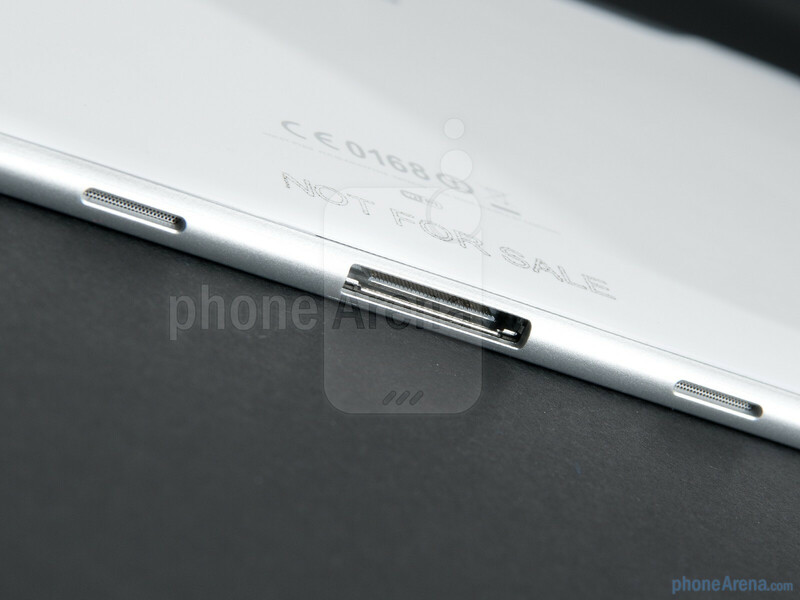 The device continues to utilize the proprietary charging and data connection port we found on the original Galaxy Tab, while an HDMI-out port is missing, so you can put that remote aside now. 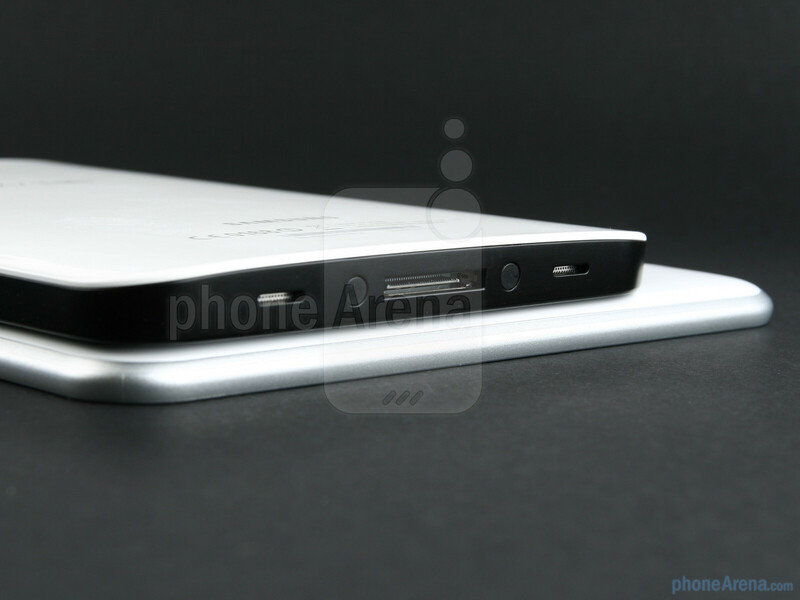 Summarizing the “physical” part of our preview, we can say we are quite content with the device's slim profile and lightweight construction. It doesn't feel premium in any case, but it shouldn't cause you any troubles as long as you handle it with care. On another note, the 8.9” screen proves to be just big enough for most everyday tasks, meanwhile keeping the bulk of the device at bay. Bah...so none of the new Galaxy Tabs are running the Exynos SoC. 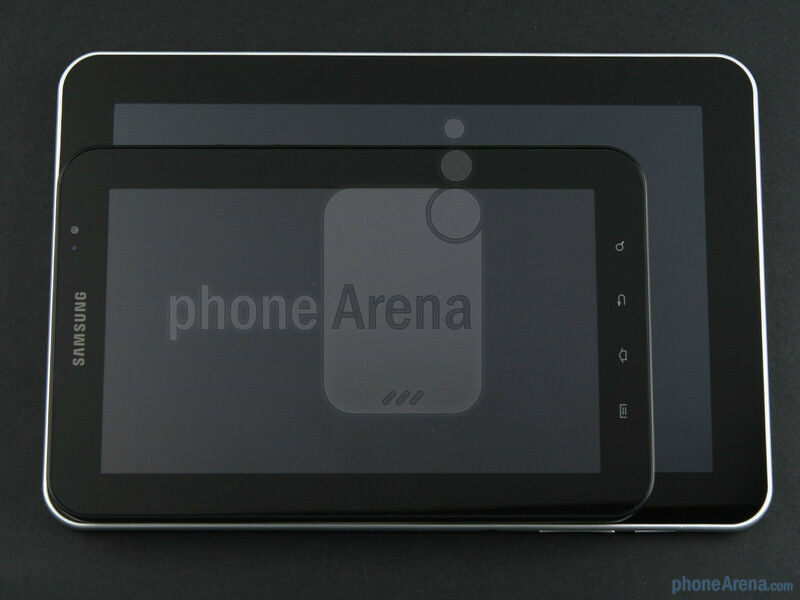 The Tegra 2 is abysmal for playback 1080p high-profile h264 videos. Android 3.0 is optimized around tegra 2 chip. To my knowledge there are no tablets with any other chip but T2. Even HTC is using T2 in flyer where they usually use snapdragon processors. Its Just like how WP7 is optimizes around SD scorpion cores. 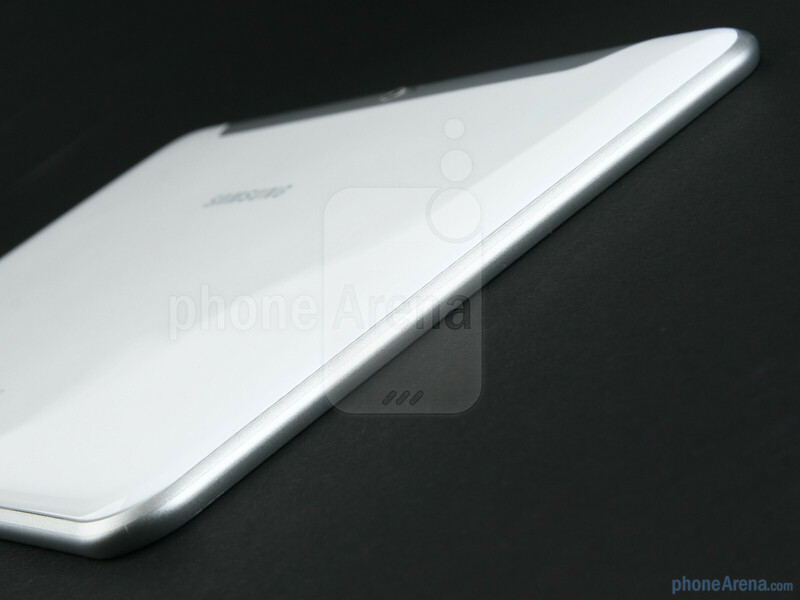 The flyer is on android 2.3.3 not 3.x and its powered by a 1.5 gHz snapdragon! 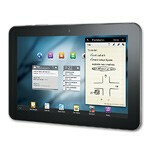 i like it, i like the Tablet, i even like TouchWiz UX. the only thing i don't like is the overhaul of that delicious stock Honeycomb Music Player, i was quite fond of that. 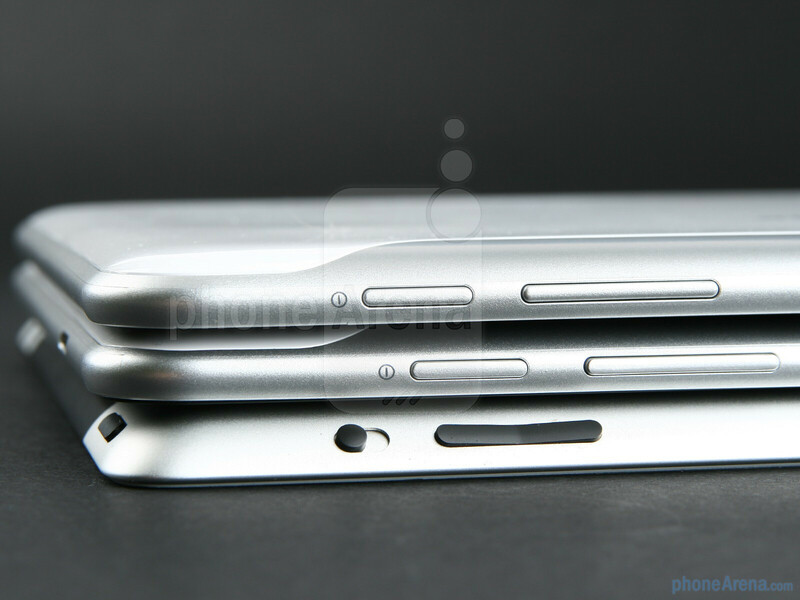 I like the size, I just wish they had a colour scheme that matched in with my Galaxy S II phone.. I like the size but No HDMI, No USB, and I'm not sure if it has SD card but no thank you...Transformer, Acer or Toshiba it is. How about the amount of mechanical flex in the Samsung 8.9 and 10.1? At the beginning of this video you can see that the 8.9 seems to have a LOT of flex:http://www.youtube.com/watch?v=p-fZx5ZkQ2A Could you comment on that, please? Loving it!!! This is the tab to get for sure. 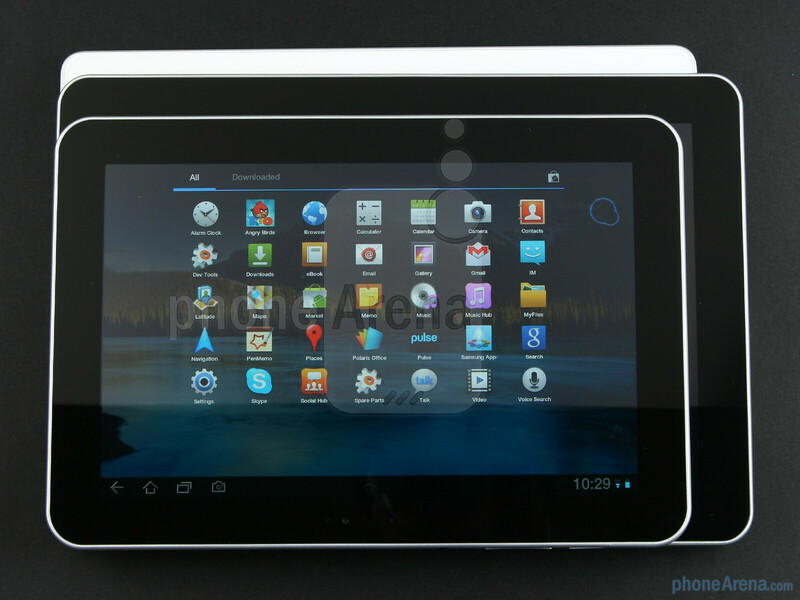 I will wait for AMOLED tablets, with hopefully more mature OS and usb ports. I have Galaxy S2 and once you see its screen in action LCD seems like a bad dream. What? No SD/MicroSD, HDMI and no USB. Man - Another stupid iPad. I'll stick to my G-Tablet for now.